PokeVision will save you time, effort and energy in finding Pokemon monsters. If the task of looking for a certain Pokemon in Pokemon Go seem daunting to you (a bit too time consuming maybe) then you need PokeVision in your life right now. PokeVision basically identifies, and maps, real-time locations of Pokemon Go monsters in Pokemon Go. It does that all so you don’t have to spend so much time searching for that one elusive Pokemon Go monster. 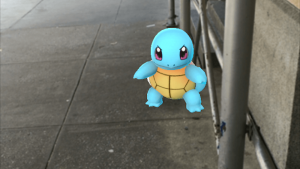 Many Pokemon Go players find it extremely difficult to find a specific type of Pokemon (that their friends might have but they don’t) in Pokemon Go. What PokeVision does is that it utilizes a Niantic built API (reports about it being official or unofficial are conflicting) that shows you the location of Pokemon Go monsters. Not only that, PokeVision also shows you the time a certain Pokemon Go monster would be present at a specific location before it disappears away. You would be mistaken to think that this was the only tool Pokemon Go players used to find other Pokemon Go monsters. There are literally tens of apps present out there in App Store and Google Play Store that tell you where to find your much-wanted Pokemon Go monster. Most of them, if not all, use (and rely on) Pokemon Go community knowledge to mark Pokemon locations. A popular app that uses this technique is Poke Radar. You might have come across this app but we’ll talk about it later in the post. The feature through which PokeVision sets itself apart from all other Pokemon finding apps is that it is able to precisely indicate where the desired Pokemon is, at the instance you want it to. That is, it marks the present location of Pokemon (and the amount of time the Pokemon monster will be at that location for). It doesn’t give you “known” locations etc. As mentioned before, PokeVision achieves this through the Niantic API. Some of you may think that usually when an app sounds too good to be true, it usually is too good to be true. But PokeVision isn’t one of those apps. A lot of Pokemon Go players have tried PokeVision and many were successful in catching that one annoying Pokemon that kept on evading and dodging them since the launch of the game. Now comes the bad news. It turns out, PokeVision has one critical flaw that could drive a lot of Pokemon Go players away from the app. It can’t tell you the Pokemon Type. Yes, it can tell you which Pokemon is present, for example, near you but you cannot find a search bar within the app to clear out the map with your required Pokemon filter. With that said, PokeVision might bring this feature in the coming days. But the biggest drawback of PokeVision is that it is not available for the iPhone. Nope, it isn’t available for Android either. You might be wondering, with over 65% users accessing the internet on a mobile phone, what was PokeVision developers thinking? Well, they were thinking browsers. Apparently, PokeVision can only work from your browser. So along with opening up Pokemon Go app, if you want to take advantage of PokeVision, you are going to have to open up your browser and visit the website’s address. Still, the effort from the developers behind PokeVision is commendable. You can bet that Niantic Labs would want to shut down any application that performed the same functions as PokeVision does. So there is no guarantee that you’ll be able to take advantage of PokeVision service forever. But, hypothetically speaking, let’s assume for a moment that PokeVision was a perfectly made application that allowed you to hunt and catch each and every Pokemon Go monster you ever wanted. Just try to think of a downside with having such a magnificent tool at your disposal. Right. It would take the most fun part of Pokemon Go out of the game. That is, hunting Pokemon Go monsters without the knowledge what you’ll run into. But you could always balance things out. You can first find all the Pokemon Go monsters that you can that require a reasonable amount of effort. When you get to your last 30 or 40 Pokemon Go monsters, you can just use this app to hunt them down and capture them without spending eternity to look for the ones you don’t have in your Pokedex. Players who are not familiar with PokeVision app should know that in the beginning, you are likely to find a lot of Rattatas, Pidgets, and Drowzees. Don’t get discouraged and keep looking. If you’re tired of hunting and catching the same Pokemon monster over and over again then this app should be heaven-sent for you. Poke Radar app, that is available here and in iPhone App store, can help you find the Pokemon Go monsters that you need to complete your collection. Poke Radar map has been put together by developers Braydon Batungbacal and Nick DiVona and the app also lets you find rare Pokemon wherever you may be. In the whole wide world. PokeVision (shown) map is more accurate but Poke Radar’s map is more detailed. Your location doesn’t matter. Poke Radar always has you covered. You can even filter out the type of Pokemon Go monsters that you don’t need anymore (or conversely filter for the ones you need). The Poke Radar map is a result of countless hours of work from the Pokemon Go community. While the map itself is an amazing feat, you should definitely double check what Poke Radar shows you because sometimes online trolls can sprinkle the map with rare type Pokemon to deceive you. To guard against that, the app has a few features in place. One of those is that when you click on a Pokemon Go monster icon on the map, you’ll be able to see the name of the person who posted the location of the Pokemon and how many other Pokemon Go players benefited from the aforementioned tip. Naturally, if you see the same name come up again and again with the wrong information (like the presence of a MewTwo) then you can simply skip tips from the same user in future to avoid wasting your precious time. Troll users also have low ratings on the community forums so watch out for those too. Poke Radar also allows you to know the most appropriate time of the day in order to catch any specific Pokemon since the time for when a Pokemon Go monster was caught is also posted on the map. A word of warning though. Running Pokemon Go along with Poke Radar might deplete your battery rather quickly so watch out and come prepared. There is no Android version of the app but you can use it through your browser or download it for your iPhone from the app store.